While you can sit there and manage the different social media platforms individually quite happily that would be very time consuming. 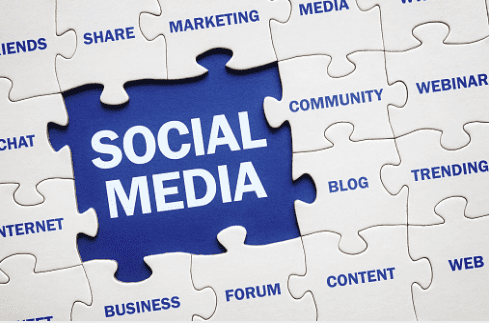 There are a number of different tools available both paid and unpaid which can help you out a lot when it comes to scheduling social media posts saving you a great deal of time. We will give you some examples of our favourite tools (paid and unpaid) and also let you know which tools we use for our social media. There are both paid and unpaid versions of this tool but for anybody getting started with social media for their business Buffer is a great way to go. Buffer enables you to share as you discover with a good browser extension and also boasts its own image creation tool called Pablo allowing you to create those social media friendly images that you would normally have to bother a designer for. Other features include a buffer url shortening tool, pricing for the tool ranges from free for one social media profile per platform all the way up to $399 a month for 150 social profiles. In terms of capability and spend, as it is a paid tool, Hootsuite is one of the more advanced tools that you can use for your social media. In terms of reactive marketing this tool is one of the best you can invest in as it gives you real time updates of all your social media activity in streams allowing you to see it all on one screen. These streams are all interchangeable and fully customisable along with the option to create streams for trending keywords throughout twitter. Sprinklr is a large social media planning tool that is used by the likes of Google, Nike and Samsung. This tool is one of the larger as you can imagine from the current users and you can request a demo to test it’s suitability. It has a wide range of features that focuses on integration, paid advertising, content marketing, social listening and benchmarking. This is a tool that supports 20+ social channels and supports 85+ languages however we have stated this tool mainly because we think you should be aware of its existence rather than suggest to use it, simply because it is too large a tool for the majority of SME/ companies to use. Continuing on with our list of social media management/scheduling tools Sprout Social is one of the top 2 in our book. Having extensively used this tool ourselves we can confirm that this tool is an excellent tool. One of the major benefits of this tool over other social media tools is the analytics tools that come built into this platform. Sprout Social has a wide range of high profile users that take advantage of its feature. Customers include: Dove, Microsoft, Yahoo etc. Its main features are centred around analytics, engagement and advanced publishing features that allow you to plan, schedule and post across social networks. If you have a large range of profiles to post from across a range of social media platforms we would recommend using either Sprout Social or Hootsuite. Having an ear to the ground is absolutely vital in social media marketing and ensuring that you are constantly monitoring your brands image across the different platforms is very important. One way that we monitor not only our brand image but also monitor our competitors is by using twitter lists. On twitter itself you can create lists in which you can place whoever you like. Now the beauty of this is that when you create a private list no one knows that they are in a list. However there are publics lists too that will alert the account owner that they have been placed in a list. Now that you have comprised a list of your competitors you can monitor their daily twitter activity and see what they get up to all in one place without having to follow them. So now you have your twitter list of competitors what now? Well scanning your eye over it everyday is essential. You don’t want to miss anything that could be important. But, now you want to know more, more is always better. This is where our social media management tools come in. Using a tool like Hootsuite you can combine the analysing power of these tweet lists and also use keywords to widen the scope of your analysis. By using the keywords feature you can track key areas relevant to your business to ensure that you never miss a trick. For example we could use the keyword “digital marketing” to ensure that we never miss anything posted with the keyword “digital marketing” keeping us in the know. The Internet is a crazy place with lots of strange this happening, the real challenge is determining what is useful information for you and your audience and what is just noise. Listed below is a list of sites that you can use for inspiration or to find articles to share. This is your go to glossy magazine of the Internet. Its nice, clean and concise interface makes it easy to read and digest information that you can then turn into your own blogs. Use this as a source of inspiration but never copy content word for word. This is very similar to Flipboard but lacking the clean interface. This is more like the RSS feeds of old allowing you to sift through large amounts of articles and allowing you to group them into areas of interest for you to then go through and take a look at. The Front Page of the Internet. This is a vast base of user submitted content and one of the most useful tools you can use for finding unique and interesting content to share.